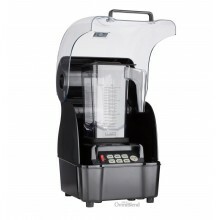 Blenders and ice cube machines There are 7 products. Ice cubes machine. • 3 ice cube sizes selectable • Housing: stainless steel • For appr. 15 kg / 24 h • Storage bin: 1.2 kg • Air cooling • Water tank: appr. 2 ltr. • Refrigerant: R600a No VAT included. 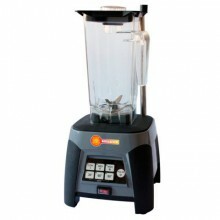 Brand new 'JTC Omniblend TM-800 AQ' commercial blender', in original box. 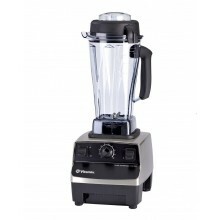 Powerful blender 3HP with 1,5 liters glass, Omnishield for noise reduction up to 80%, Key “Pulse” of high, medium and low speed, maximum speed up to 38.000 rpm, steel blades which crushes ice in seconds. No VAT included. 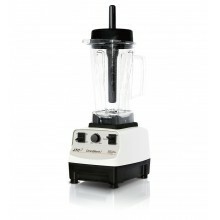 Brand new 'Vitamix TNC 5200' commercial blender', in original box. 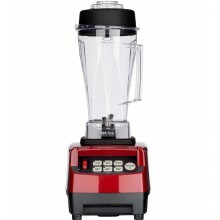 Powerful blender with 1,9 liters Tritan Copoliester glass, 2 speed, maximum speed up to 37.000 rpm, steel blades which crushes ice in seconds. No VAT included. Ice cubes machine 40 kg. • Housing: stainless steel • For appr. 40 kg / 24 h • Storage bin: 10 kg • Air cooling • 4 adjustable feet • Recirculation system • Refrigerant: R290 • Incl. 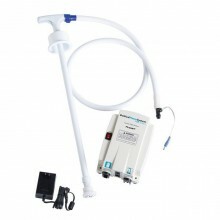 hose for direct water connection(3/4 inch) and draine hose (1/2 inch) No VAT included.